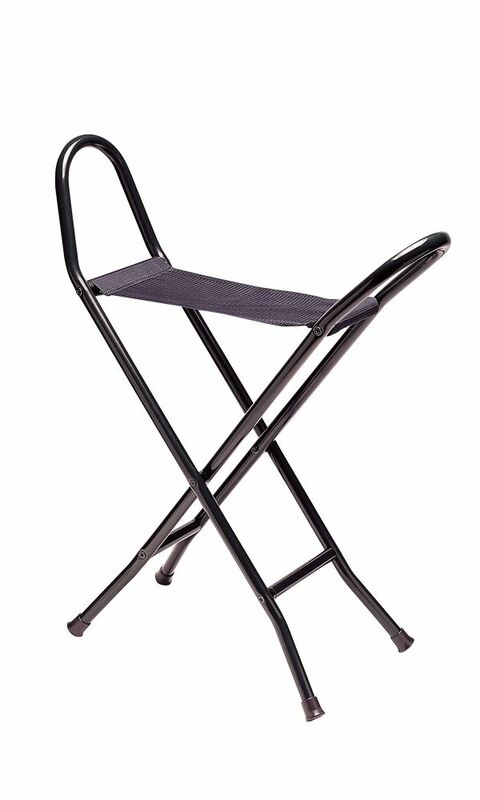 Black canvas folding seat stick with lightweight aluminium frame. Extra long for the taller person. This seat stick is ideal for picnics, fishing and many other outdoor activities. Height 94cm (37") closed and 61cm (24") seated. The seat width is 38cm (15"). Max weight load 17 stone.